It’s easy and free to set up a fundraising page. Start fundraising straight away. You don’t need to register in the City2Surf. Share a link with your family, friends and colleagues through email and social media. 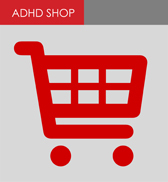 Download a ADHD HEROES brochure to distribute to your network. ADDults with ADHD (NSW) Inc ABN 87 819 863 019 is a charity registered with Australian Charities and Not-for-profits Commission with DGR status. Donations over $2 are tax deductible. Individuals with ADHD often experience daily issues with hyperactivity, inattention and impulsivity as part of their condition. This can bring ongoing challenges in the workplace, at home and in social settings. upside to having ADHD and that the unique characteristics of the condition can be harnessed to help them in a variety of settings. For many of us with ADHD the answer is “NO”.